A new documentary, Occupy the Farm, chronicles the fight between farmers and the University of California for agricultural use of land in Albany. Still from the documentary Occupy the Farm. 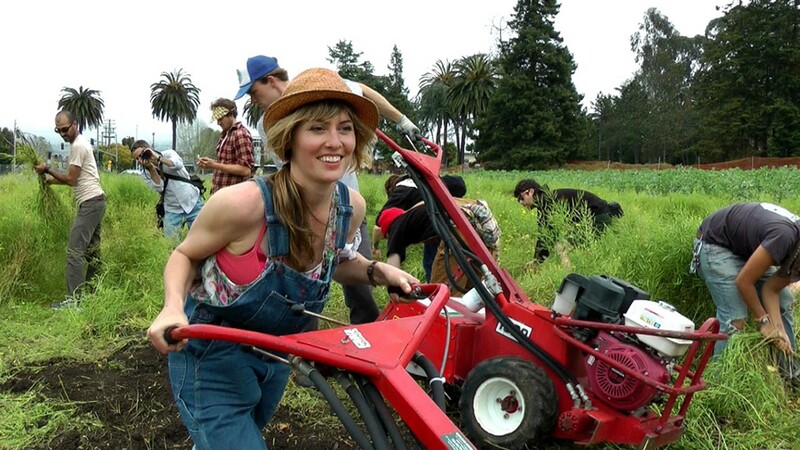 On April 22, 2012, a group of hands-on urban agriculture advocates cut open the lock on the Gill Tract gate and marched onto the fourteen-acre plot of land in Albany with wheelbarrows, seedlings, and a banner that read "Occupy the Farm." The property, which has been owned by the University of California since 1928, has long been used to grow test crops by UC Berkeley agricultural researchers. But for the past fifteen years, many community members have pushed to turn it into urban farmland open to the public. After the UC revealed plans to develop a Whole Foods Market and housing on the plot, a group of young, muddy farmers with an Occupy ethos decided that asking for permission was not the best strategy. Over the next three weeks, they occupied the land, cultivating a lush community garden while also fighting off threats from police and the UC. At the local level, they were fighting to save the last good farm land in the urban East Bay, but on a broader scale, the occupation was a fight against the privatization of public land and for the right of community members to have a say in how that land is used. Now, the story is being told in Todd Darling's Occupy the Farm, a full-length documentary that will be playing at UA Berkeley 7 (2274 Shattuck Ave.) for one week starting on November 7. 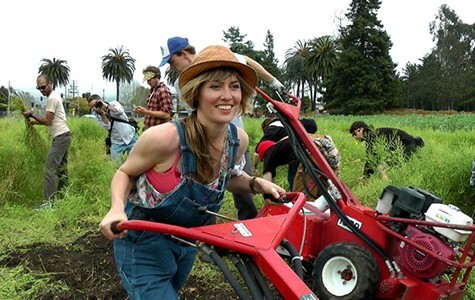 In early 2011, Darling had been visiting urban gardens in the East Bay, meeting the smart, young farmers hoping to fix Oakland's food desert problem. Meanwhile, the veteran film and television director, whose work includes three seasons of the MTV reality TV show Laguna Beach, had his own hopes of finding a cast for a new reality show or documentary project. That fall, Occupy encampments sprouted up across the country. While at Occupy Oakland, Darling recognized the same young farmers passing out food with the hope and enthusiasm he had seen on their farms. At that point, he knew that something important was going to emerge out of the intersection of food justice and the Occupy movement in the East Bay, and he was determined to capture it when it did. When the occupiers marched onto the Gill Tract on Earth Day the following year, Darling was ready. He and collaborators Blake Hodges, Steve Brown, and Carl Grether closely followed the tumultuous community effort that eventually won over a portion of the land to be dedicated to urban farming. Occupy the Farm chronicles the journey, while also capturing how the conflict reflects broader issues of unequal land, economic, food, and power distribution in America. "If I have any hope for this film, it is that it will inspire people to take activism to a very local level," said Darling in an interview. "Because the fight for privatization in local places has got national — if not international — implications. You can do something big by doing something small." But at the end of the day, Darling's top priority for the film was to tell an engaging story. And it does prove more accessible than viewers might expect, as Darling has obviously spent time directing works for mass audiences. The result is a documentary that sweeps up the viewer in a fast-paced, character-driven narrative not unlike that of a TV show, ultimately yielding a piece of entertainment that's easy for any audience to invest in. Darling will be present at the 7 p.m. and 9 p.m. screenings on Nov. 7. See OccupyTheFarmFilm.com for further showtimes and details.